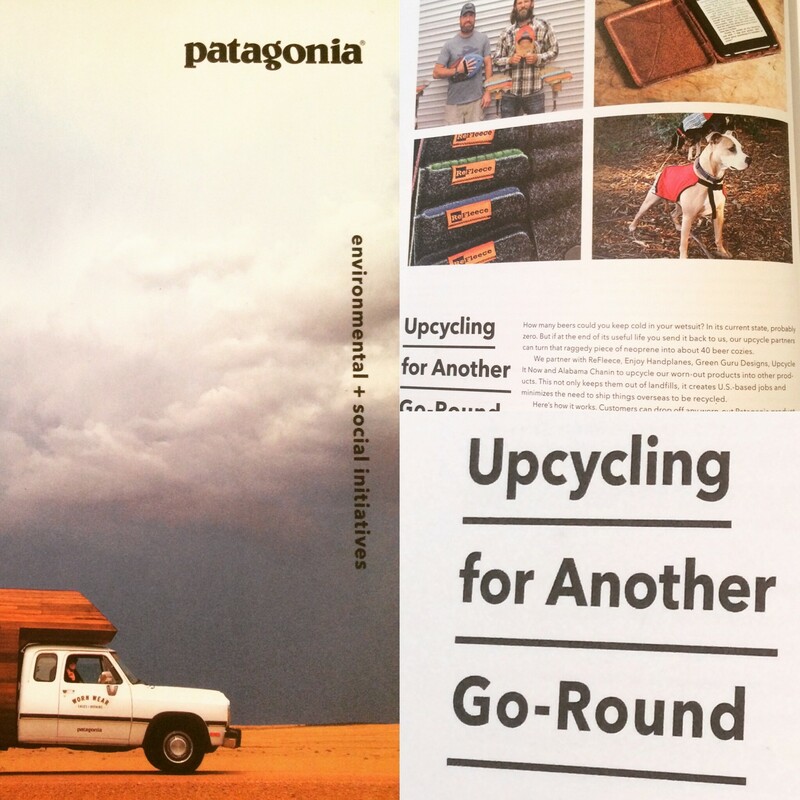 Thank you Patagonia for giving us a spot to shine in your Environmental + Social Initiatives Magazine. Check us out on page 42 along with other great upcyclers such as ReFleece, Green Guru, Enjoy Handplanes, and Alabama Chanin. Also check out the other inspiring articles about Patagonia’s efforts with their worn wear recycling program, cleaner denim, higher living wages campaign and much more.